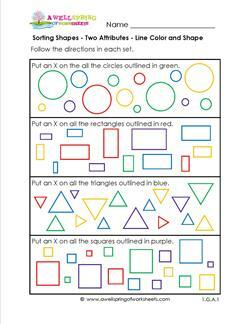 Sorting shapes can be loads of fun! 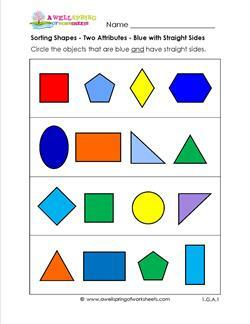 Just pull up this page of two attributes - blue with straight sides - and get cracking! 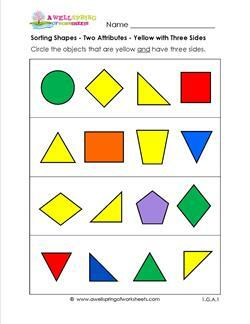 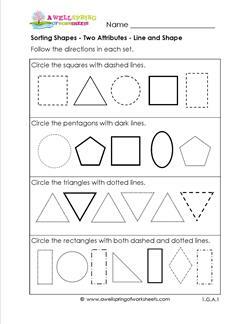 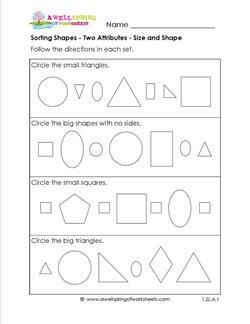 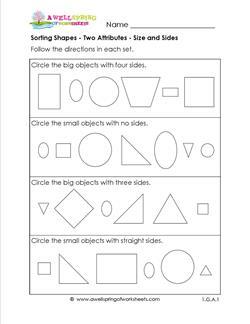 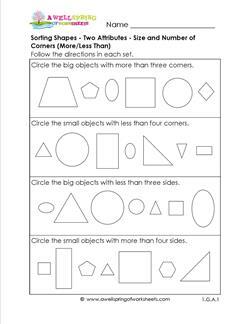 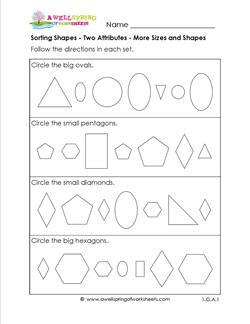 In this sorting shapes worksheet children follow the directions in each of the four sets to find the two attributes - shape and size. 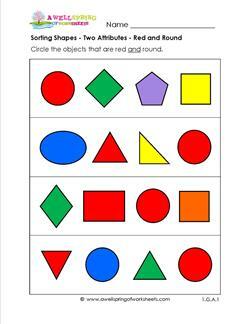 This sorting shapes worksheet with two attributes - size and sides - is another great way to practice sorting skills.